A special thank you for Altar Servers. 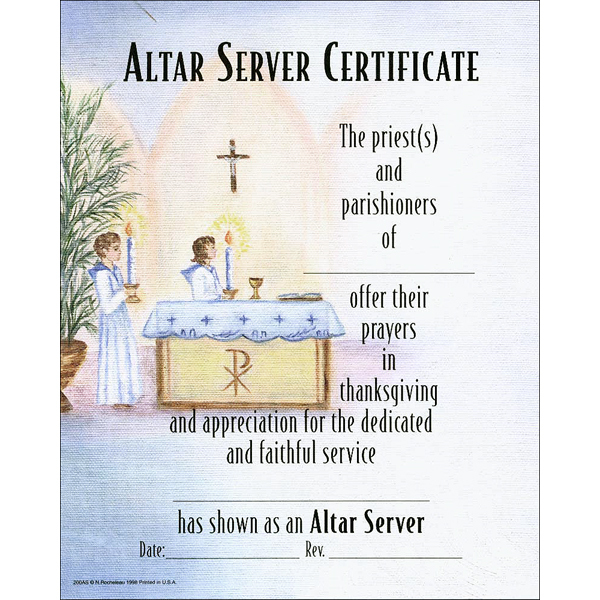 Beautiful altar server certificate from an original oil painting by Natalie Rocheleau. Sold 100 per package. Envelopes not included. Size is 8 x 10 inches.